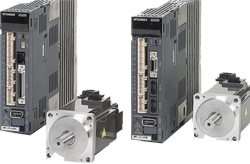 The FX3U is the original dual system-bus, high-speed, fully expandable compact PLC designed to seamlessly control communication, networking, analog, and positioning systems. 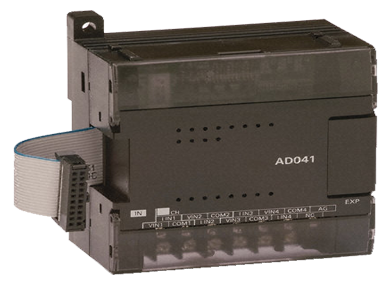 With a maximum of 384 controllable local and networked I/O via CC-Link/AS-i, the FX3U uses its power and flexibility to provide a solution for a variety of applications. 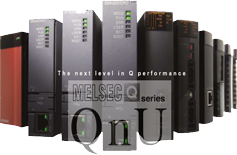 The Q series is an enhancement of Mitsubishi Electric's vast automation system expertise, while inheriting the technical assets from the MELSEC A and QnA series. 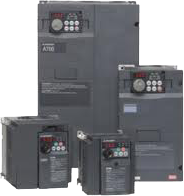 This unique series is able to integrate four types of automation control, sequence, motion, process, and information (PC based) on to a single system. Therefore, offering significant benefits for the user in terms of development, functionality, performance, and maintenance. It is widely acknowledged in the market for the variable-speed applications such as conveyance and chemical machines to line control applications such as winding machines and printing machines. Equipped with qualitative parts ensures more reliable operation. The reliable life diagnosis function of invertors notifies the maintenance time and network connection as desired. It is compatible with CC-link communication, SSCNET and other major networks and noise measures and harmonic current technique is available with the reactor. Mitsubishi Electric offers a variety of Servo and Motion system products providing solutions for applications as simple as a single axis point-to-point system through to fully synchonised 96 axis systems. 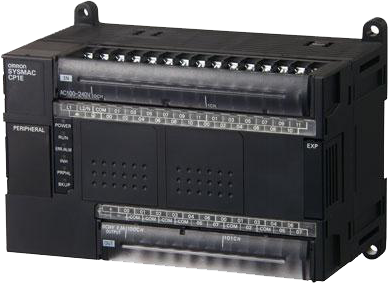 With both standard pulse type output modules and SSCNET bus modules specific application needs are easy to meet. Processes and quality standards are becoming increasingly complex and demanding, requiring industrial automation systems capable of providing much more detailed information on the control processes for plant and machinery. Mitsubishi Electric provides a broad spectrum of operating and visualisation systems, ranging from simple text-based HMI panels to full-featured industrial PCs. 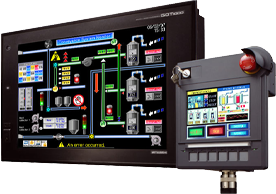 The series include text-based HMI panels, graphical HMI panels, HMI panels with function keys, HMI panels with touch screens and industrial PCs in a variety of different versions. CPM1A-V1 series for small devices, the small points of distribution box space-saving economy, micro-PLC standard models, minicomputer, encompassing a CPU for the AC power supply, DC power supply, relay output, transistor output 4 kinds of different models. Power supply, the output I / O points, etc. choose to use as needed. Copyright 2012 @ Pearl Automation. All rights reserved. Design and developed by d-code systems.